In this conventional vs grassfed interview we talk about the reasons for switching from a conventional operation to a grassfed, organic operation. Kevin's family has been in farming and ranching as far back as they can track the family line with his Grandfather being born in the late 1800's. Kevin was the first in his ranching family to deviate from the "norm" in an attempt to find a more sustainable agricultural practice. In Kevin's words, he had "drunk the Kool-aid" and was just following along as everybody else was until he realized that the petroleum products he was using were finite and MAYBE there was a better way. Listen to this months interview to hear Kevin's insights and learn some strategies for improving your operation and bottom line! Kevin Fulton grew up working on the family farm in Sherman County and helping his father in his veterinary practice. He got his start in the livestock business at a very young age, first with pigs and chickens, then soon after with his first heifer at the age of 10. It was then that he started to develop a real passion for farming and raising livestock. Today, Kevin operates Fulton Farms, a 2800 acre organic grazing operation near Litchfield, Nebraska where he produces and markets grass fed beef and does custom grazing. This diversified livestock farm includes cattle, sheep, goats, poultry, pigs, horses, along with wheat and hay enterprises. They reached this point after transitioning the operation away from conventional practices in an effort to increase sustainability. Fulton Farms has hosted numerous individuals and groups from around the world on their unique Eco-ag tours. In addition, Fulton Farms has an internship program that draws future farmers from across the country that want to learn about organic grass based agriculture. Kevin’s unique approach to farming has been featured in many trade journals, magazines and newspapers across the nation. He has been highlighted in several books, including THE BOND by Wayne Pacelle which is on the New York Times bestseller list. Kevin’s sustainable farming model was recently presented on FOX News by award winning journalist and author David Kirby. As a speaker, he has presented at numerous venues from New York to Los Angeles, promoting sustainable agriculture and grass based livestock systems to university faculty, students, livestock and ag organizations and consumer groups. He has also been involved in several research projects. Kevin is active in a number of organizations and has served on advisory boards for the Nebraska Sustainable Ag Society, Center For Rural Affairs and the Nebraska Grazing Lands Coalition as well as being involved with his local RC&D promoting economic development. He is the founder of a newly formed Ag advisory council for the Humane Society of the United States bringing together prominent farmers and ranchers from across the country to help shape farm animal welfare reform. Prior to returning to the farm in 1993, Kevin worked at the collegiate level as a strength and conditioning coach, becoming one of the youngest Division I head strength coaches in the country in 1989 at the age of 29. 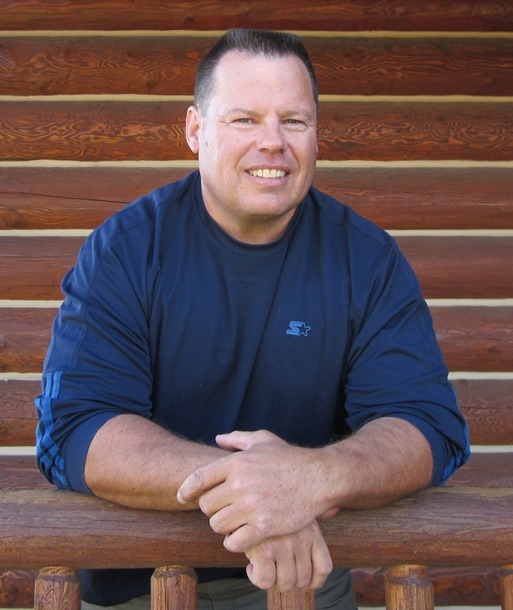 As a competitive strength athlete, he competed and coached in hundreds of weightlifting and strongman competitions winning titles from local to international levels. He still holds numerous international records. In 2001 at the age of 41, he became the second American and one of a handful of men to ever successfully lift the legendary Dinnie Stones in Scotland. This earned him the label of “The Farmer who Lifted the Stones” in many strength circles. Fulton holds a B.S. degree in Animal Science from Kansas State University and a M.S. in Exercise Physiology from Colorado State University. Kevin has 3 children ages 11-9-6 who are all interested in farming at this point. If you really want to learn from Kevin and his experience switching from conventional to grassfed production, you need to hear this interview!